Let Our Church Bell Ring! 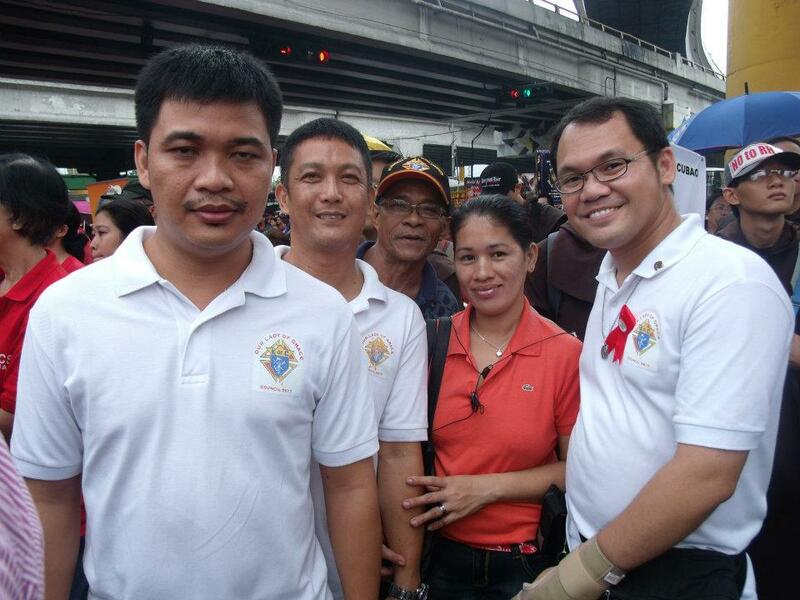 Grand Knight Rommel Lopez together with SK Rico Santero and his wife, Lady Richelle, SK Allan Bulaon and SK Jun Llaneta, joined other Knights and other faithful Catholics and Filipinos of other denominations in expressing their support of Catholic bishops’ opposition to the Reproductive Health Bill in a Prayer Rally held at the Edsa Shrine. 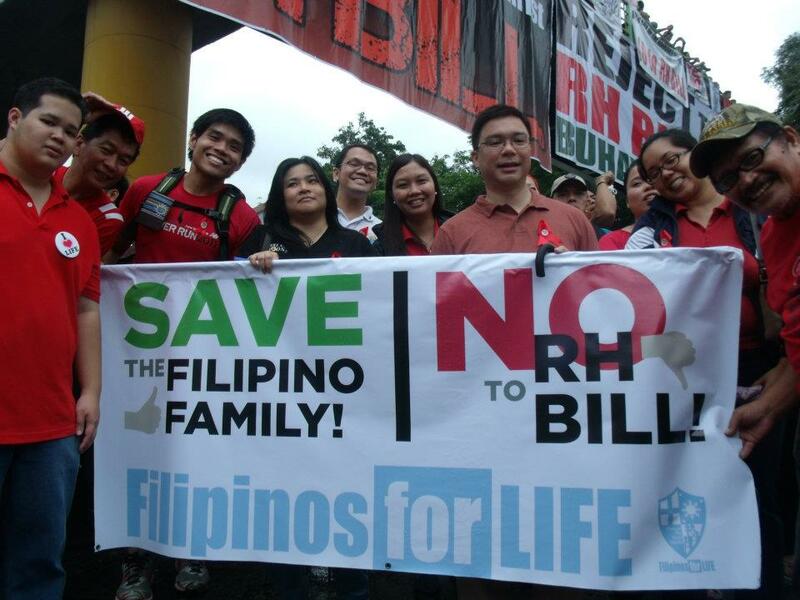 GK Rommel Lopez with members of pro-life group Filipinos for Life (F4L) during the pro-life rally. GK Rommel is also a founding member and Board of Trustee of F4L. Visit their website at http://filipinosforlife.com/ to know more about the group and its programs. 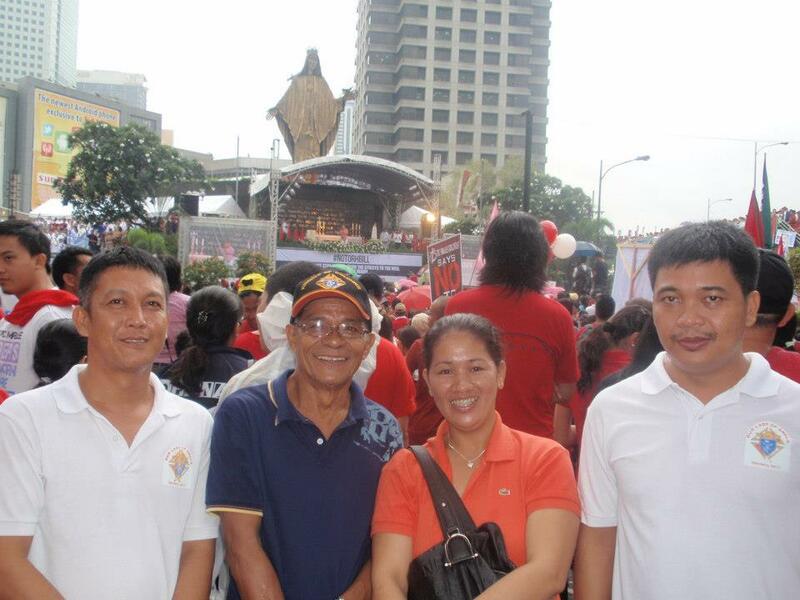 SK Allan Bulaon, SK Rico Santero, SK Jun Llaneta, Lady Richelle Santero and GK Rommel Lopez at the prayer rally. 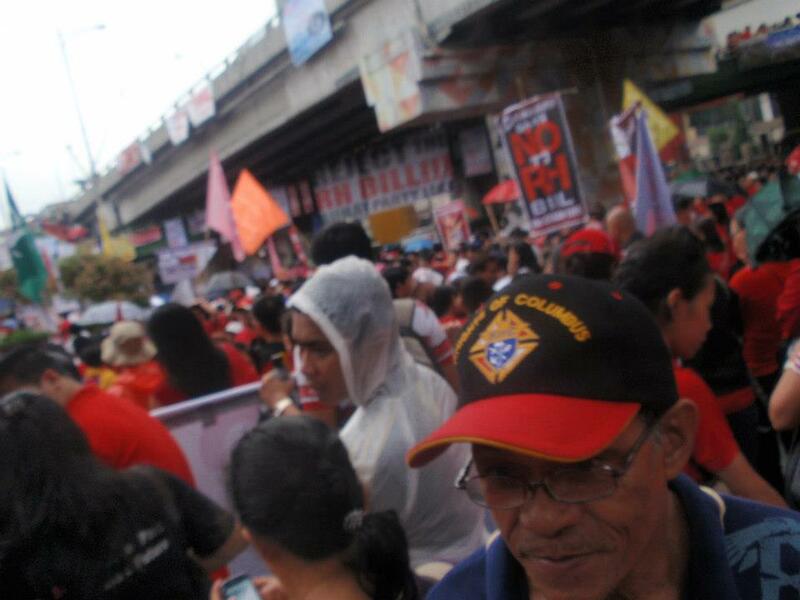 They were stationed below the Ortigas flyover, in front of the Edsa Shrine. SK Rico, SK Jun, Lady Richelle and SK Allan posing with their backs at the historic Edsa Shrine. The Shrine was erected in thanksgiving to Our Lady for her intercession during the peaceful 1986 People Power Revolution. The titular patron of the Shrine is Mary, Queen of Peace, our Lady of Edsa. A portion of the massive crowd who turned out to voice their opposition to the proposed legislation aimed at legalizing widespread distribution of artificial contraception. The Knights, faithful Catholics as they are, do not use or promote artificial contraception in obedience to the teachings of the Church against it, as explicitly taught in Humanae Vitae and the Catechism of the Catholic Church. You may find other catechetical materials about the teachings of the Church against artificial birth control by clicking here and here.